It's been a crazy year; I'd love to say that the reason I haven't posted is because I received an iPad and have spent all my time using it, but alas I have no iPad to speak of (yet-Christmas is coming and I'm still holding out!). 1. 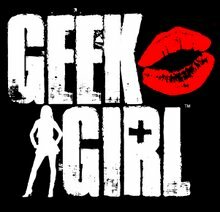 GeekGirl's guide to Social Networking! 6. Geek Gads-watch me throw a cell phone into a vase full of water...and survive!